Each season we have lots of people taking their first ski holiday with us, and we are delighted to be able to help and support them through the process. We understand what being a beginner is about – and sometimes how daunting it can all feel. 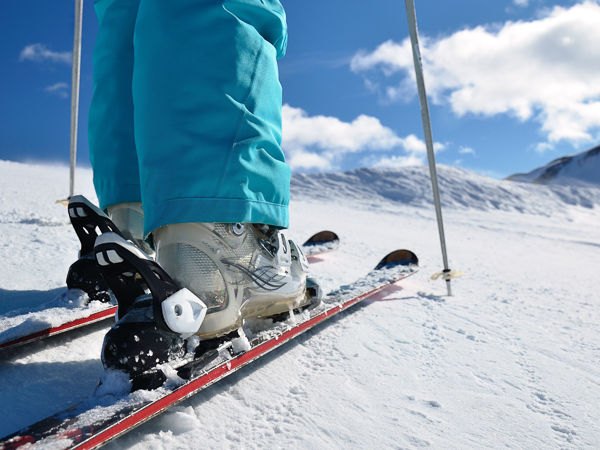 After all – we were all beginners once, needing someone to explain what it was going to be like, help us put ski boots on for the first time, show us how to carry skis and so on. The best location for beginners is our home base, the Aravis Lodge, where Ski Weekender’s dedicated ski team are on hand to help you through many of the stages of learning to ski or snowboard, and your first experiences on the mountain. At the lodge we have our own ski hire facility on site, plus are able to arrange group or private lessons for beginners and improvers, with our very own dedicated small group lessons with selected English-speaking instructors. On your first morning, one of our ski team will be on the mountain to help you find your instructor, and to show you the best restaurants for coffee or lunch – plus, our team are always around in the lodge to answer any questions you may have. 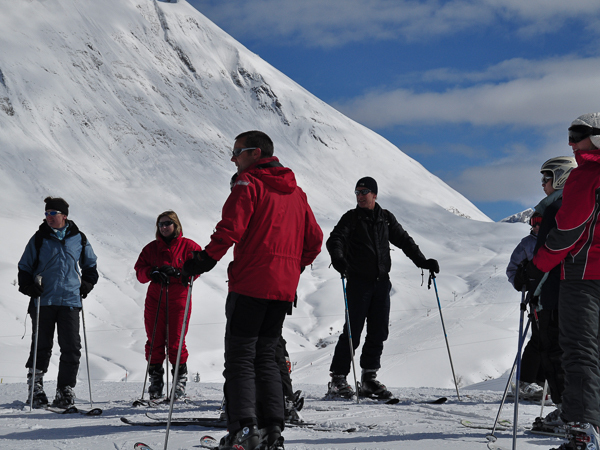 A ‘Beginner Ski Weekend’ or Short Break is a perfect introduction to the sport without the full commitment of using a week’s holiday. 3 or 4 days skiing is enough for most people to “get the bug”, and leaves you wanting more without getting too tired or “over-it”. The great value Ski Midweek trips can be an ideal way to see if you like it, without breaking the bank! 3 days skiing from Monday to Thursday is an excellent “taster” period for adults and kids alike – plus you benefit from the quieter midweek slopes. For people staying at our base, the Aravis Lodge, or in one of our accommodations in Le Grand Bornand, you can book onto our private dedicated group lessons, run in conjunction with the ESF (École du Ski Français) of Le Grand Bornand. Our preferred English-speaking instructors take groups purely made up of our guests, which creates a supportive and fun environment – with group sizes typically of around 4 to 6 people, so a great way to learn to ski or snowboard! Le Grand Bornand is extremely well set up for the newbie skier of all ages. It has developed an entire area spanning 1.5 hectares, based around the Rosay sector with wide, smooth nursery slopes and some some longer, sweeping green runs for when you feel more confident. Le Grand Bornand has also made a significant investment in a ‘magic carpet’, L’Alpage Express, which at 200m long is the longest in Europe. It is a covered ‘lift’ a little like the airport travellators, though this one takes you up the mountain – and is ideal for for beginners! Of course, there are plenty of more challenging slopes as well, for when you feel more adventurous, and for other, more experienced members of your party.